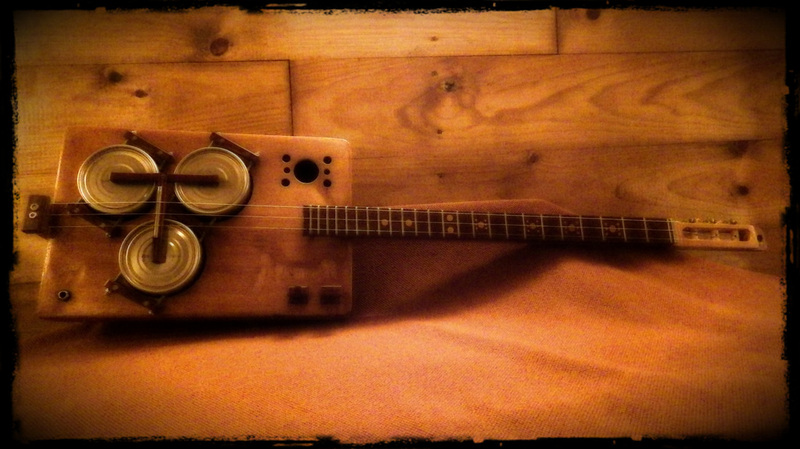 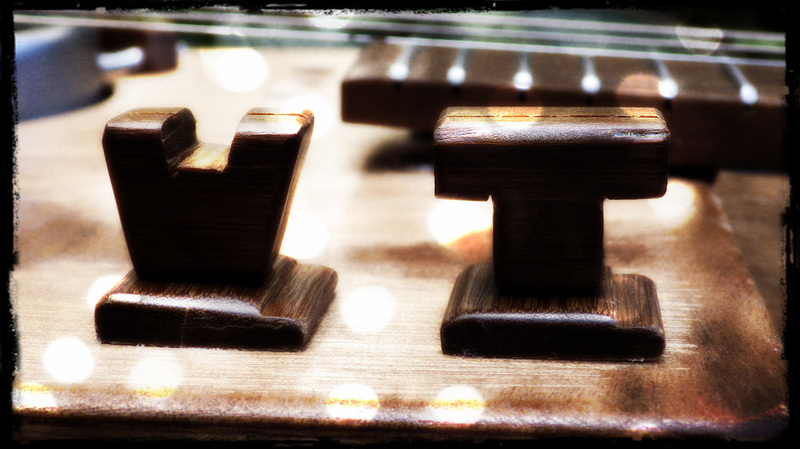 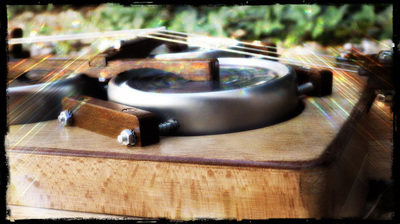 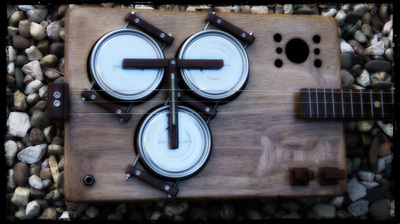 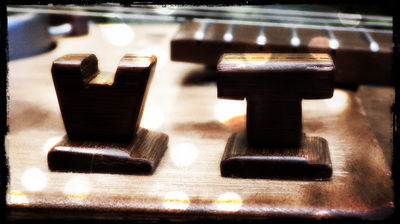 The Kiwaidae, a recycled box guitar. Ingredients: An old beech box with plywood front and back, a piece of Lignum vitae, 3 tuna cans, a piece of beech from an old bed for the neck, some threaded rod, nuts and washers, recycled tuners from some broken Spanish guitar, two 38 mm and 2 two 14 mm piezo's, some wiring and a few old potentiometers left over from a guitar repair. 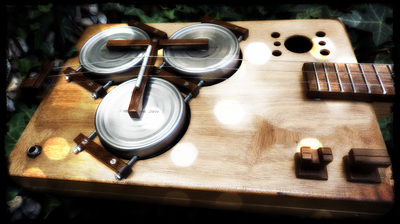 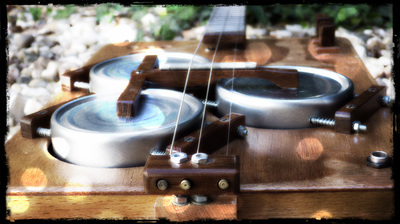 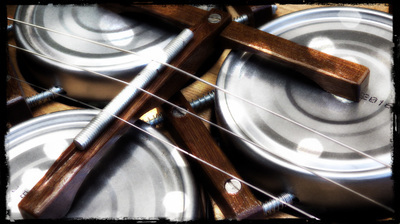 Combine all with a bit of creativity and see here; a tri-cone resonator RBG!